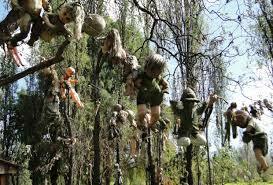 A mournful scene that has become a twisted tourist attraction. 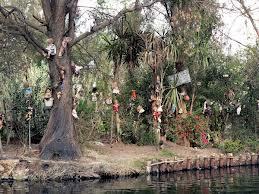 In the canals of Xochimico, south of Mexico City, there is a small island that is as unsettling as it is mournful. 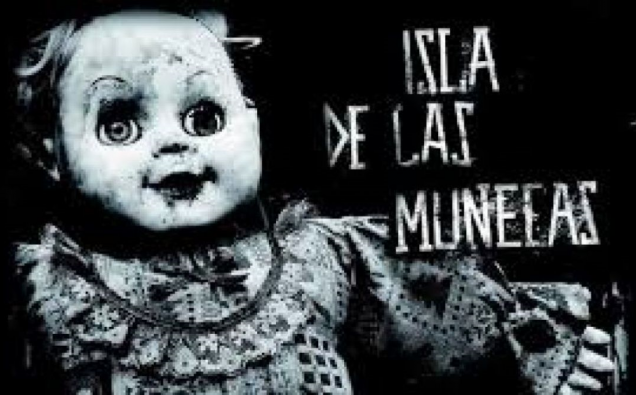 Isla de las Munecas, or The Island of the Dolls is a disturbing shrine dedicated to a little girl that drowned over 65 years ago. It is said that Don Julian Santana Barrera found the body of a little girl in the water who apparently drowned. 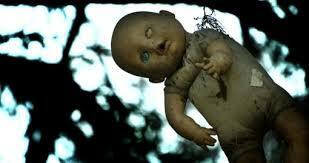 A doll floated by in the water shortly after, and Barrera hung the doll in the tree to show respect to the little girl. 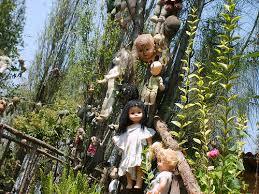 Being haunted by her death, Barrera started hanging more dolls attempting to appease her spirit. 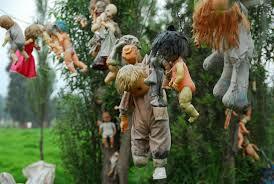 Soon he believed that the dolls themselves were possessed by spirits of dead children. Those close to Barrera claimed he had changed after the experience of finding the young girl’s body. 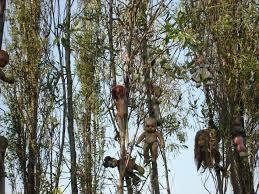 Barrera became highly motivated to obtain dolls; he traded home-grown fruit, and even took short trips away from the island to rummage through trash in search of discarded dolls. Some people believe he was tormented by the fact he couldn’t save the little girl’s life, while others believe Barrera made the whole story up and was mad. 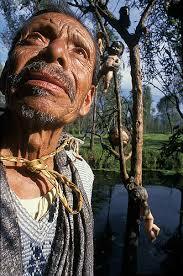 In 2001, Don Julian Santana Barrera met his fate in the same water as the little girl. His drowned body was found bizarrely close to where he claimed to have found the little girl. 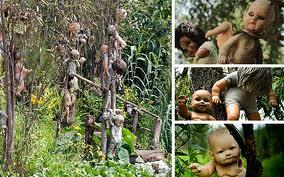 Since Barrera’s death, the locals have embraced the island and turned it into a tourist attraction. Island visitors even bring dolls to join the new caretakers of the island. 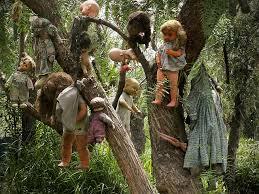 A floating garden filled with soulless eyes that follow its visitors wherever they go, The Island of Dolls is a great display of twisted tourism.